Working on a cruise ship is interesting, but it is also very demanding. This type of job is dynamic and it certainly has a lot to offer. People who work on cruise ships say it is an incredible experience. One of the greatest advantages is that you can travel a lot and learn new skills. 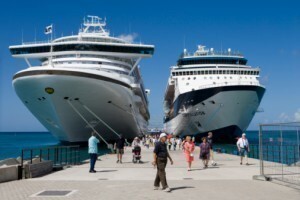 There are different types of cruise ship jobs, and the requirements for each of these are different. Before you start looking for a job on a cruise ship, there are certain things you should think about. People who work on cruise ships have to be social! You will have to share rooms, meals, free time and work place with other employees of various nationalities. They come from different cultures and have different customs. Tolerance and understanding are extremely important for this type of job. You will be apart from your friends and family for more than six months. If you don’t think you will be able to do this, it will be better to choose some other type of job. You will have to be very disciplined. The hierarchy is pretty similar to what you can see in military. Orders must be followed without any questioning. You must be friendly, polite and have a smile on your face at all times. This can be very difficult in some situations, but that is a part of the job. You will probably share a small room with someone else. That will mean less privacy. Your cabin will have to be clean at all times. You will have to follow the instructions related to changing your bed linen, doing your laundry, etc. You will probably be working long hours for the whole week, for six months (or more). You need to be prepared for this. • All candidates must undergo a medical examination. You will need to get a medical certificate that is internationally recognized. • In case you are not a citizen of the United States, you will have to get the C1 Visa (for transit), and one for the seamen (D type). • People who are hired through recruiting agents may expect some help when it comes to work permits and visas. • You will get an employment contract for six months, but these contracts can be prolonged (to 10 months maximum). In most cases, there has to be a compulsory break that lasts six or eight weeks.